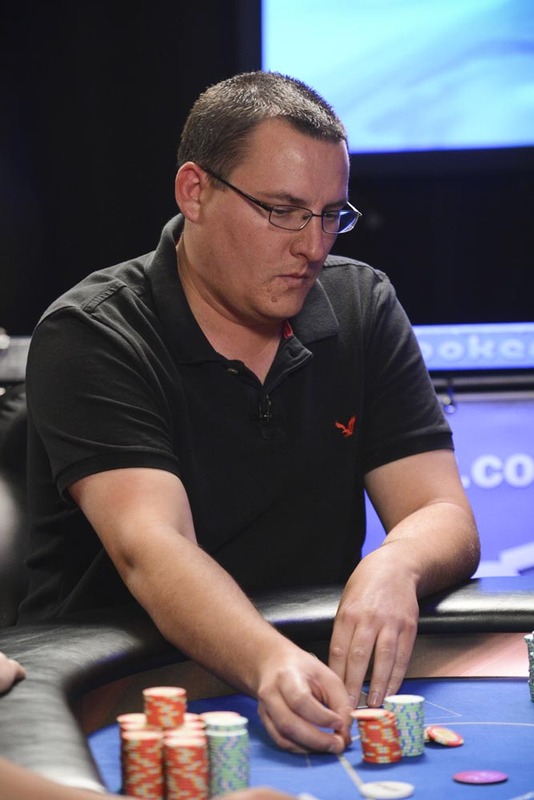 Adam Thoutt and Matthew Moore end up all in preflop after a series of bets. The counts are 2,935,000 for Thoutt and 3,410,000 for Moore. Thoutt doubles through Moore, leaving Moore just 3BB.